The RDS team is well-experienced in all aspects of Internet Technologies, but we have a few technologies that we specialize in and in which have deep (and broad) experience. Those technologies are listed below. Our team has been in and around the ColdFusion Community for the past 13 years. 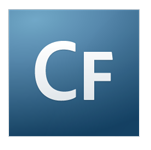 We have heard that ColdFusion is dead more times than we can count, but ColdFusion still lives strong and Adobe keeps improving the technology year after year. ColdFusion is a Rapid Application Development tool that sits on a J2EE engine; it makes web application development both easy and fast (and it performs well, too). If you are considering using ColdFusion as the underlying engine for an application or are continuing development on an existing application, you can rely on the team at RDS to help you hit your deadlines and satisfy your budget requirements.We have experience with the current ColdFusion frameworks (ColdSpring, Model-Glue, and MachII, as well as Fusebox) and will implement them appropriately with industry best practices. With these frameworks, the time to market will be reasonable and your team will be able to maintain and support the applications with very ramp up time. Adobe Flex is the one “tried and true” Rich Internet Application (RIA) framework in the industry today. It delivers the ability to develop Flash front-ends for your web application that are just too difficult using the timeline-based Flash platform. With 6 years of developing Flex, Adobe has created a platform with Flex that allows development teams to give their applications that flair that Web 2.0 is supposed to be about. To deliver our Performance Tuning engagement, RDS uses SOASTA CloudTest to create a synthetic load on your application and deliver reports that correlate many data streams from the distributed test into a single test result on a synchronized timeline providing the ability to drill down to a single event or message to find specific problems. The Strangeloop AS1000 appliance is easily added to your Internet technology stack that optimizes webpage performance to enable a positive user experience that results in more pages per visit, more time-on-site, increased conversion rates and employment productivity and more revenue per visitor. This appliance is a piece of hardware that requires very little configuration and offers very big results. The Strangeloop AS1000 delivers web optimization without the hassle re-factoring your code or replacing all of your hardware.